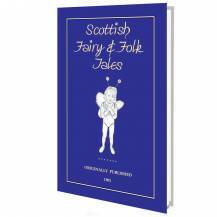 This book containing 85 Scottish tales is a treasure chest of classic Scottish Folklore. 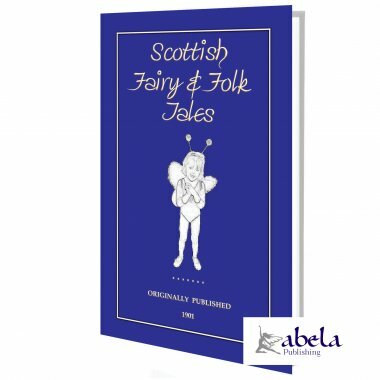 Compiled by Sir George Douglas, contains not just fairytales but also tales of kelpies, brownies, stories of animals - foxes, crows, frogs and stories of mermen and comic tales as well. Contained herein are eighty-five stories like The Story of the White Pet, The Fisherman and the Mermen, The Seal-Catchers Adventure, The Frog and the Crow, Habitrot, The Wee Bunnock and many, many more. In the days long before the advent of radio and television, the arrival of a story-teller in a village was an important event. As soon as it became known, there would be a rush to the house where he was lodged, and every available seat--on bench, table, bed, beam, or the floor would quickly be appropriated. And then, for hours together--just like some first-rate actor on a stage--the story-teller would hold his audience spell-bound. Campbell of Isla, who gathered and penned the Popular Tales of the West Highlands series in the 1870s, records that in his day the practice of story-telling still lingered in the remote Western Islands of Barra. Maybe, just maybe, there are a few alive today who remember this custom being continued at Poolewe in Ross-shire where the young people used to assemble at night to hear the old ones recite the tales which they had learned from their fore-fathers. So take some time out and delve into this Treasure Chest of folklore and travel back to a period before television and radio, a time when tales were passed on orally--at the drying kilns, at the communal well and in homes. ONCE, a long time ago, there--was a gentleman had two lassies. The oldest was ugly and ill-natured, but the youngest was a bonnie lassie and good; but the ugly one was the favourite with her father and mother. So they ill-used the youngest in every way, and they sent her into the woods to herd cattle, and all the food she got was a little porridge and whey. Well, amongst the cattle was a red calf, and one day it said to the lassie, "Gee that porridge and whey to the doggie, and come wi' me." So the lassie followed the calf through the wood, and they came to a bonnie hoosie, where there was a nice dinner ready for them; and after they had feasted on everything nice they went back to the herding. Every day the calf took the lassie away, and feasted her on dainties; and every day she grew bonnier. This disappointed the father and mother and the ugly sister. They expected that the rough usage she was getting would take away her beauty; and they watched and watched until they saw the calf take the lassie away to the feast. So they resolved to kill the calf; and not only that, but the lassie was to be compelled to kill him with an axe. Her ugly sister was to hold his head, and the lassie who loved him had to give the blow and kill him. Till I come frae the kirk on gude Yule day." So she went to the kirk, and nobody kent it was Rashin-coatie. They wondered who the bonnie lady could be; and, as soon as the young prince saw her, he fell in love with her, and resolved he would find out who she was, before she got home; but Rashin-coatie left before the rest, so that she might get home in time to take off her dress, and look after the dinner. When the prince saw her leaving, he made for the door to stop her; but she jumped past him, and in the hurry lost one of her shoes. The prince kept the shoe, and Rashin-coatie got home all right, and the folk said the dinner was very nice. Now the prince was resolved to find out who the bonnie lady was, and he sent a servant through all the land with the shoe. Every lady was to try it on, and the prince promised to marry the one it would fit. That servant went to a great many houses, but could not find a lady that the shoe would go on, it was so little and neat. At last he came to a henwife's house, and her daughter had little feet.  At first the shoe would not go on, but she paret her feet, and slippit her toes, until the shoes went on. Now the prince was very angry. He knew it was not the lady that he wanted; but, because he had promised to marry whoever the shoe fitted, he had to keep his promise. But bonnie feet an' braw feet sits in the kitchen neuk. The prince turned his horse and rode home, and went straight to his father's kitchen, and there sat Rashin-coatie. He kent her at once, she was so bonnie; and when she tried on the shoe it fitted her, and so the prince married Rashin-coatie, and they lived happy, and built a house for the red calf, who had been so kind to her. THE FAIRY OAK OF CORRIEWATER.